Cameron University and the City of Lawton will team up to beautify the Lawton community with Day in the Park on Oct. 11. The joint effort will start at 9 a.m. and continue into the afternoon. Students will gather at assigned parks throughout the city and partake in such services as weeding, painting and general maintenance – City of Lawton will provide the necessary supplies. Student Activities Specialist and Day in the Park organizer Leslie Cothren said in a press release that beautifying these parks can help foster a better community. Cothren said that Cameron’s past history with other service projects led to the decision to team up with City of Lawton for Day in the Park. “We have been doing the MLK Day of Service in January since 2009,” Cothren said. “We have had a fabulous turnout and wanted to provide another opportunity for our clubs and organizations. So, we decided to do the Day in the Park.”According to the Trust for Public Land, parks and open spaces improve a city’s physical and psychological health, strengthen its communities and make a city and its neighborhoods more attractive places to live and work. Cothren added that Lawton’s 80 parks could use that sort of pick me up to help foster this health and community interaction. Cothren also mentioned that students could benefit from the experience, especially since it could potentially foster a better relationship between campus and community. 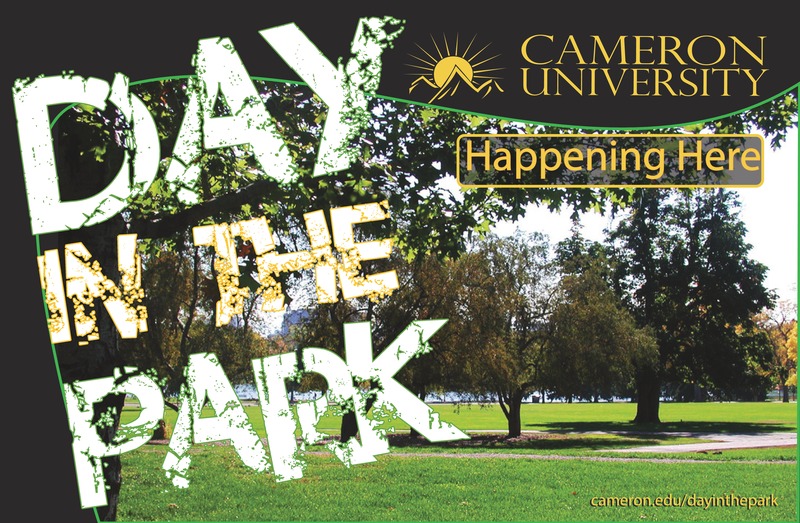 For registration and more information on Day in the Park and other Cameron service projects, like CU Serve on Facebook. All service opportunities will be posted on that page.